I am happy to see contributions made here have been an inspiration for you. 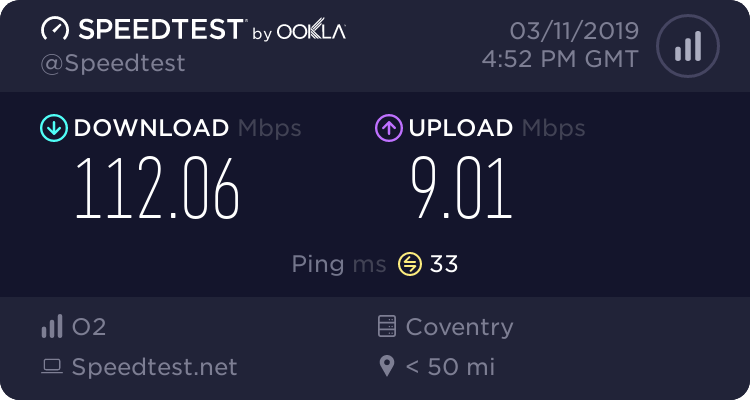 At those speeds, you are certainly not using Three's "SuperVoice" (VoLTE) 800 MHz band (Band 20) - you're going to be connected using the normal 1800 MHz band (Band 3). Band 20 is not notoriously slow, but in most cases the downstream is going to be slower than 3G in the single figures. You can use LTEWatch to check your connection stats and force specific bands if you need to. 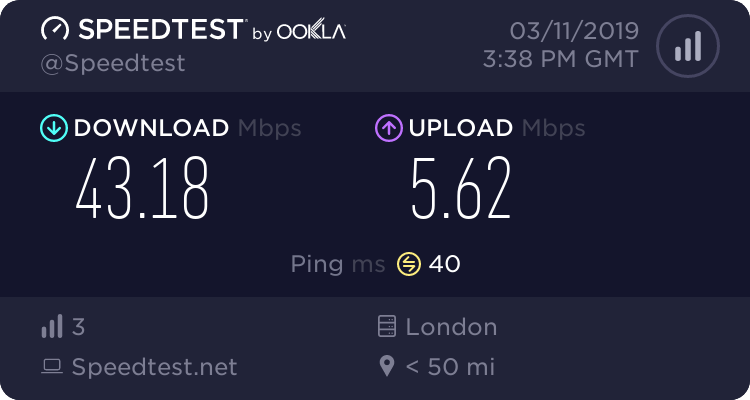 LTEWatch reveals that I am on a 4G connection (see screenshot). However, the only frequency band I can connect to is the 800MHz Band 20 which confirms the Three coverage checker is correct. I did try all the others bands with LTEWatch, but none would connect. Speed tests on the 2G and 3G setting were only around the 5-6 Mbps mark. Many thanks for the info, very useful to someone with no knowledge of mobile comms. Just going by the modem status and LTEWatch, but I’ll check it again. 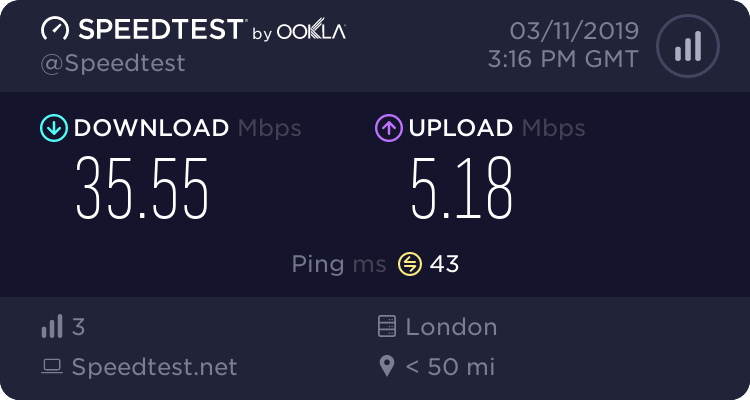 Speed tests are quite expensive though! I did get ~24Mbps on my phone on 3G but that was outside in the garden so I am totally confused. 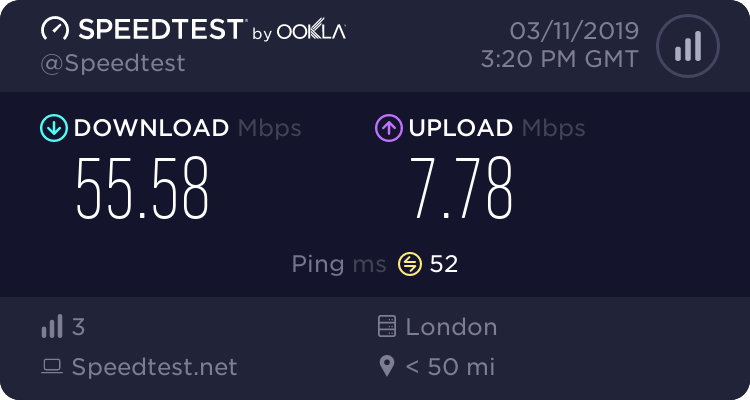 I’m beginning to think that the modem is just doing its own thing, as it quite happily let me select 2G only on the network settings. 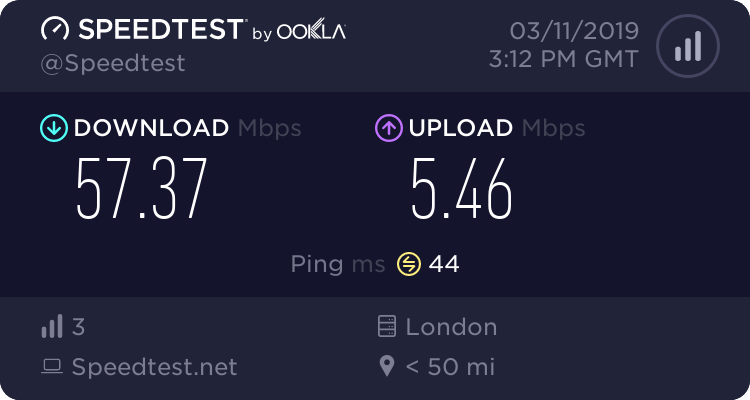 Perhaps it is showing 4G but simply dropping down to the best connection. Perhaps it's the modem that is confused! Yup, I got my bands reversed so yeah its good I'm getting band 3.